This garment is for Autumn season. All the dyeding material is environmental. The loose design makes you feel more relaxed. 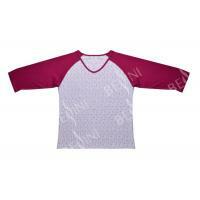 If customers have any ideas about clothes , we can modify the sample according to customers' thoughts immediately. Moreover, we can totally accept customisation, your own design or samples are welcomed. 1. 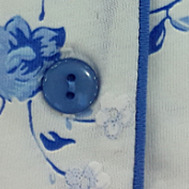 Five blue buttons in the placket. 2. 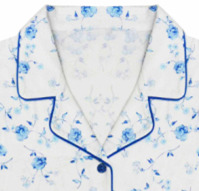 Blue jersey fabric piping around the neckline. 3. Blue jersey fabric piping around the sleeve band. 4. Blue jersey fabric piping around the leg opening.